Starring: Christian Slater, Patricia Arquette, Val Kilmer, Bronson Pinchot, Michael Rapaport, and more. Requested Review from Steve Voll! Back at you with a requested review! This time from my friend, Steve. 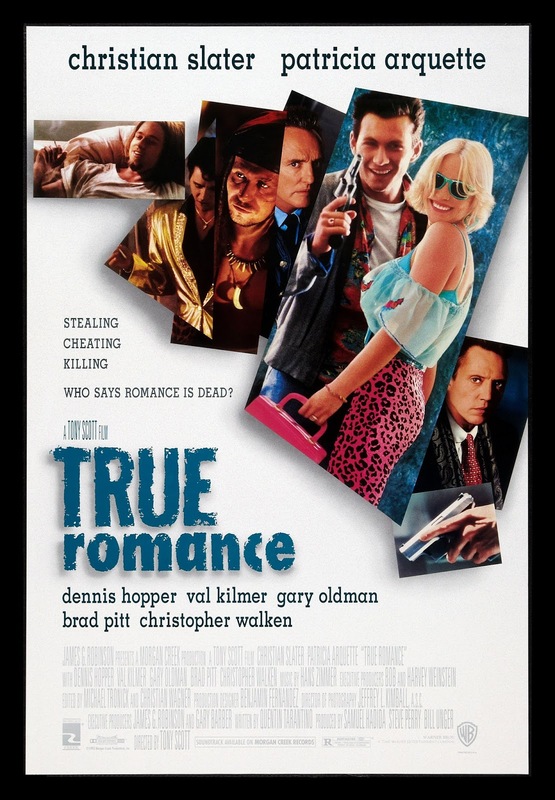 Here we have a request for ‘True Romance’ to be given an Oberrated review and man, this one sure has a lot of components to deliver a true hit film, if you have not already watched this one before. Gigantic names in Hollywood, a director and writer with their own legendary status, and performances done with flawless execution. So with all that said, can the components deliver the perfect result, or is it a failed equation? Well you know the drill, read on! When a man by the name of Clarence (Christian Slater) falls in love and marries Alabama (Patricia Arquette), who is a former call girl before marriage, the two start off as happy as a fairy tale. Then Clarence decides to relieve Alabama from her contract to her pimp, Drexl (Gary Oldman) and ends incidentally stealing his cocaine by the end of their exchange. With money on the mind and a future filled with riches, the two seek out a method of selling their score in Hollywood. All the while sparking a manhunt by the previous owners of the cocaine, the mob. Super satisfied to be directed to this movie and very upset I never took the time to view their earlier in my life. ‘True Romance’ is a treat from start to finish. Piling on an endless barrage of action, comedy, romance, mystery, suspense, and add any other element, this flick probably has it without ever feeling too much. The script very obviously projects Tarantino’s influence, making this a treat to the Tarantino fans. The acting from everyone that appears on screen is excellent. If you have never seen this film before, you will see titans within the movie industry appear with such minor roles yet are so satisfying to see. The film as a whole is a fast-paced roller coaster ride, consistently entertaining the viewers with each moment that passes. The material within this film alone could fuel hundreds of other films. A truly fulfilling entertainment piece. A definite recommendation here from Oberrated and two thumbs up. Posted in Movie Review, Oberrated Requests, Uncategorized.